Rugs are made up of different fibers and these fibers can play an important role as to how a rug will look like, its resistance, durability and how a person will be comfortable adapting to the material. We have the shag rugs or carpets which are made of deep pile giving it a shaggy, ruffled or unkempt appearance and somewhat like that of a section of a grass that allows the blades or strands to lay in a variety of different directions. These are usually an inch in height and made up of less dense long strands. Shag rugs have been widely used in the early century. 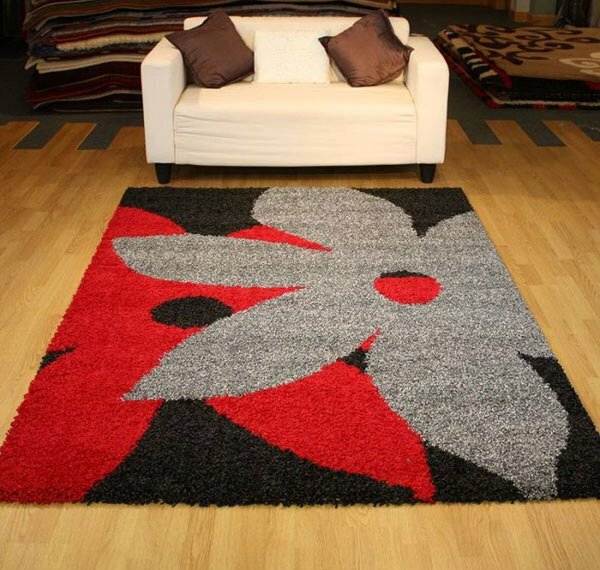 Some say that this type of rug gained its popularity during the 1960’s and 1970’s then became obsolete thereafter. But just a few years back it has gained its resurgence. And since it is back in the picture, manufacturers have been finding ways as how to improve this kind of product. Just like any other types of rugs, shag rugs are made up of different fibers and offer a variety of accents, style, design and comfort. Today, shag rugs are offered in three lengths. First is the long shag which is almost a wall to wall carpet and will almost occupy the entire or half of the room. Second, the short shag has the same design and the length is almost half of the long shag and lastly the mini shag is slightly longer than the standard pile. Wondering how they look like? To not make it any longer, the below images and features are all about shag rugs. Read well and enjoy! 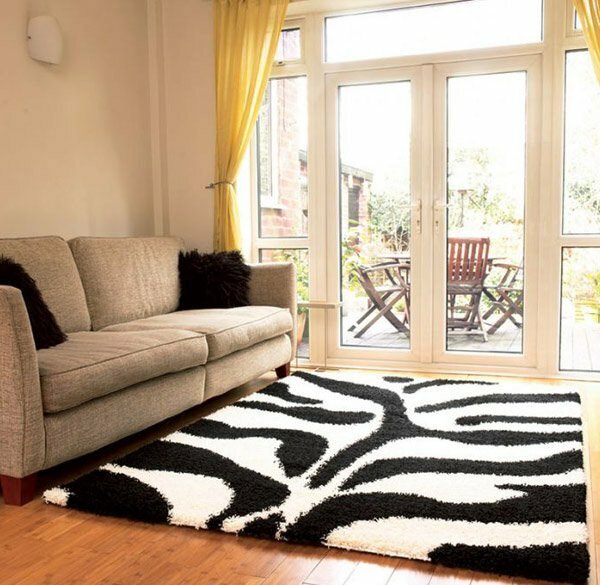 Spoil your room into an animalistic and wild look with this long shag rug in black and white and zebra pattern. This stylish rug always makes a way to your home by giving your space simplicity yet truly exemplifying and outstanding ambience. 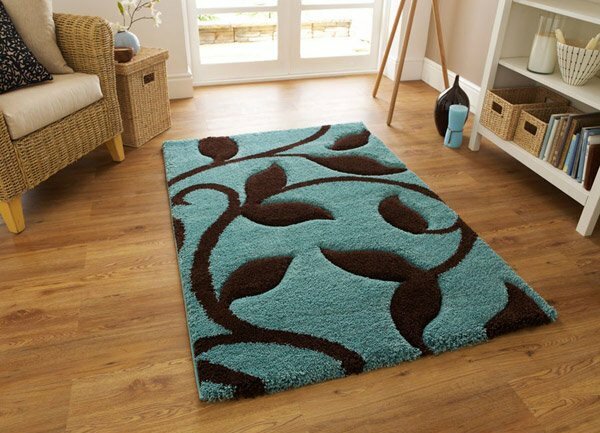 Eye catching and blossomy design makes this short rug attractive and modern. This Egyptian made heavy, short shaggy rug with its bright and kaleidoscope of color, it will make a striking focal point at your home. Rock and cobalt inspired short area rug perfectly matches the a brick wall and is rejuvinating for the place. Featuring a simple geometric design inspired by traditional Morrocan weavings, this shaggy Berber rugs are machine woven using a heavy two ply heatset polypropylene yarn that is easy to clean and very hard wearing. White vines and flowers in red background gives this an exotic and strong nautralistic theme. Made with extra durability and easy maintenance. 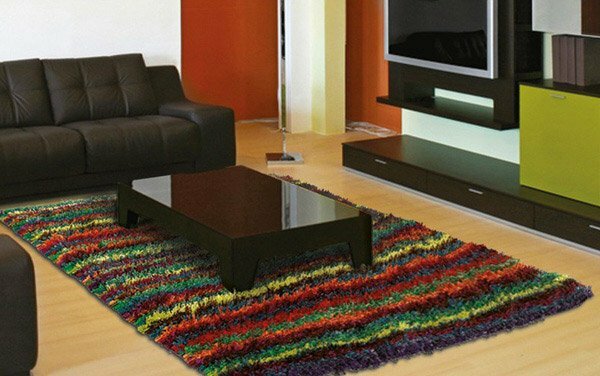 Multicolored circular shaggy long rug will stir up a plain and dull floor that easily and instantly. From the name itself, Arte Espina Dance Rug will jazz up your whole senses and even give you a “kick off your shoes” notion to feel the fluffiness of the pile. 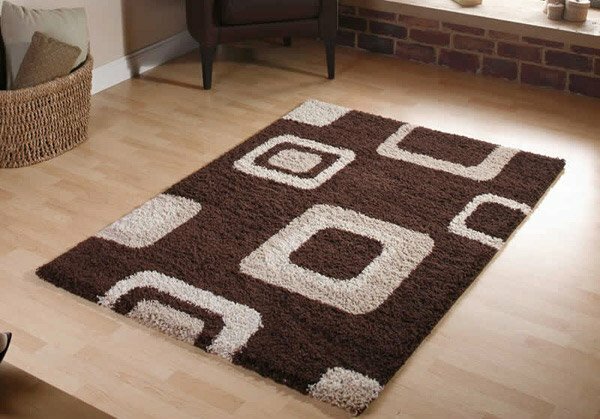 Rich brown rug with geometric design in cream and beige colors for a sleek, clean and organized look. 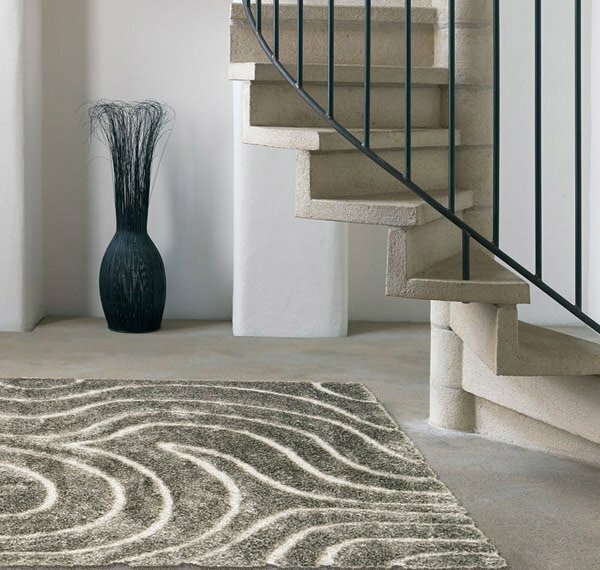 The Kura silver short rug features an elite definition of sophistication with its contour design. Handtufted with high quality polyester yarns, this rug has a soft and plush pile. 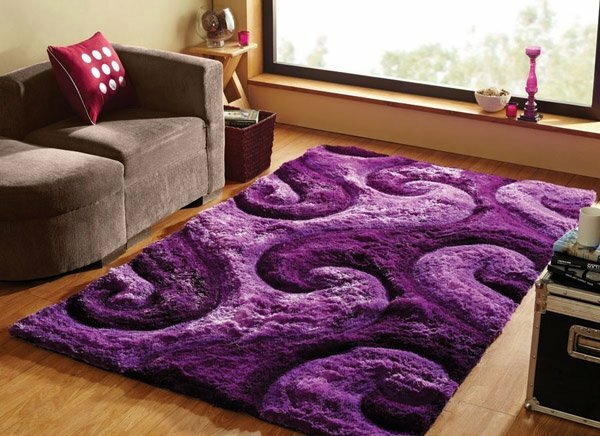 Purple – the color of magic, majesty and royalty added with the softness of fibers composed these oversized chunks, this rug is very much inviting to the room and is a perfect way to caress your feet, giving yourself a soothing and majestic feeling. Invite nature into your home with this nature-inspired sweeping vines in blue and brown color. Its natural look is a real winner because it will truly be a focal point into your room. This high end contemporary geometric design is a real centerpiece. It’s soft, non-shedding and contrasting shades is a great addition for your home. 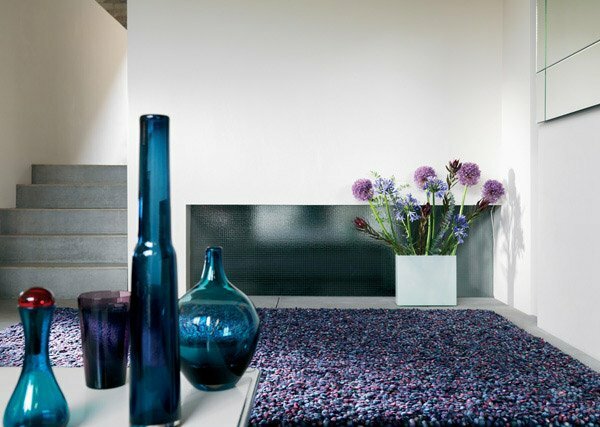 Sink your toes into this trendy purple and grey contemporary design short rug with a thick shag pile finish. Mini shag rug made from amazing texture of fibers make it durable, cozy and comfortable to set off your toes. 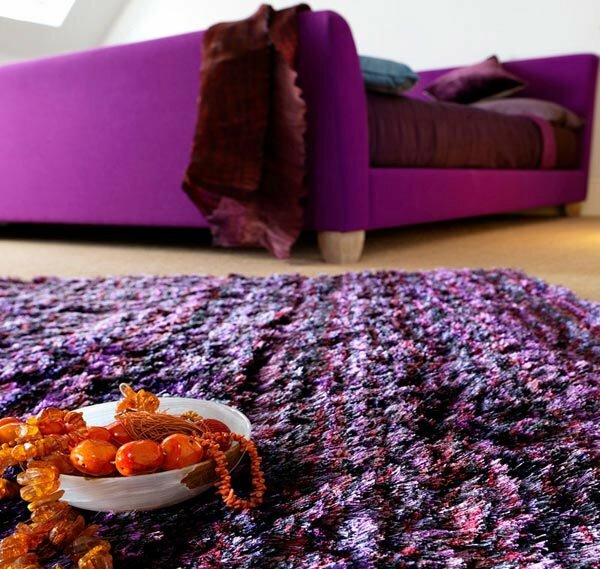 Introducing the Tashem Plum rug in thick chunky strands and is rich in luxurious touch. This rug is not just any of your typical rugs. This is a perfect rug where your eyes can focus attention to with its majestic color and where your feet can rest to with its soft yarns. 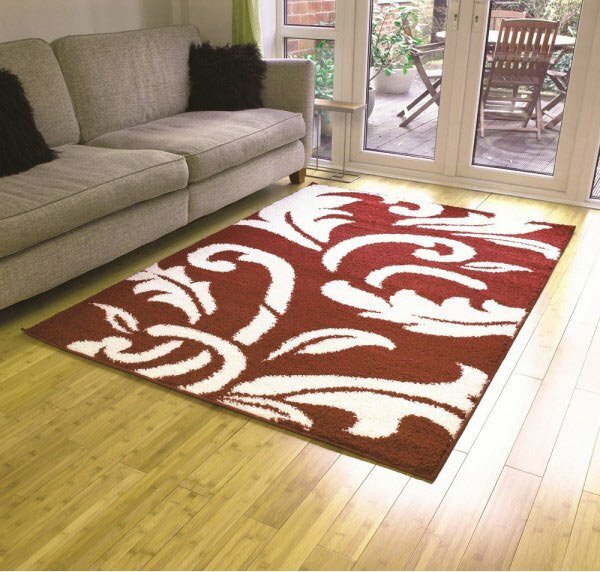 This rug carved in semblance with rose petal is truly breath taking and is naturalistic and is refreshingly inviting for anyone who steps by your door. Gorgeously soft, cozy and snug polyester, this rug is truly amazing from fluffy material it has been made of up to the simplicity, fineness and shimmering effect it brings. 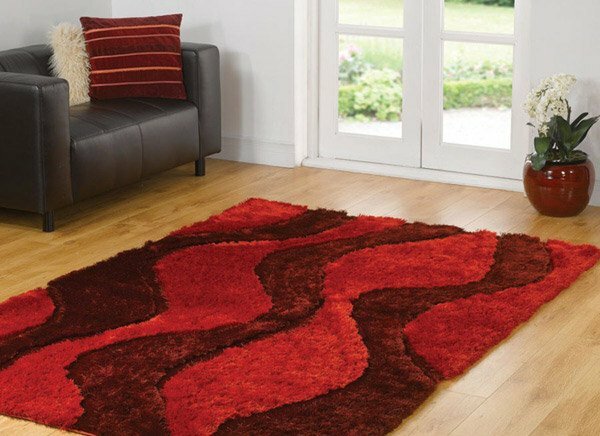 Who would not want to have this red shaggy rug in lava like appearance and ripple design? 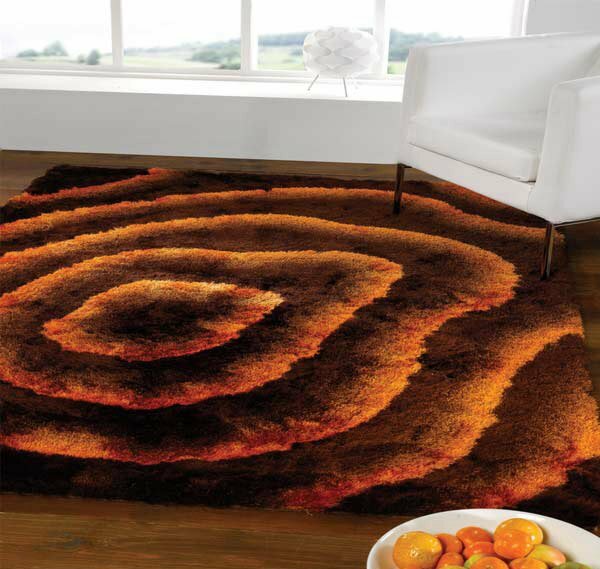 This is ultimately a stunner adding to it a thick pile and easy to clean characteristic of the rug. 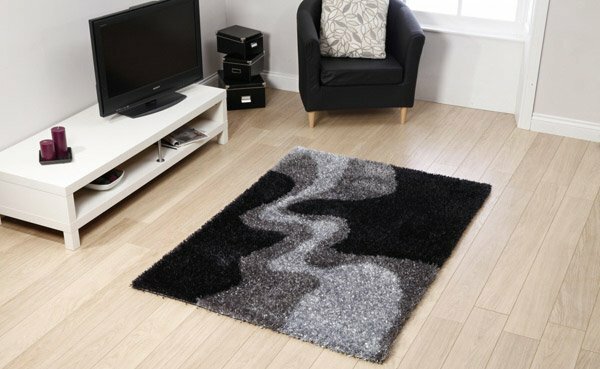 A blend of black and white in swirls is a popular customary combination for anyone who wants to achieve that classy, elegant and contemporary feel for anyone. Go for serious glamour with this meticulously hand-carved Enchantment Purple rug creating a three dimensional effect and which is incredibly soft and gives a casual comfort. Whether or not your rug comes in long, short or mini sizes, your shag rugs will be a stunner and of comfort, wanting yourself to take off your shoes and enjoy the fluffiness it has. Our 20 Shag Rugs haven’t gone out of style and it is truly amazing how these rugs show they’ve never been out of the picture and are still exhilarating. 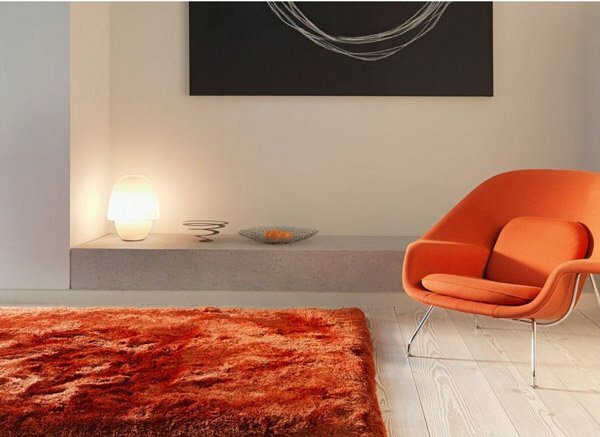 So watch out for more that we will be featuring like thesheepskin area arugs which can also look great in your room same as how lovely shag rugs are. 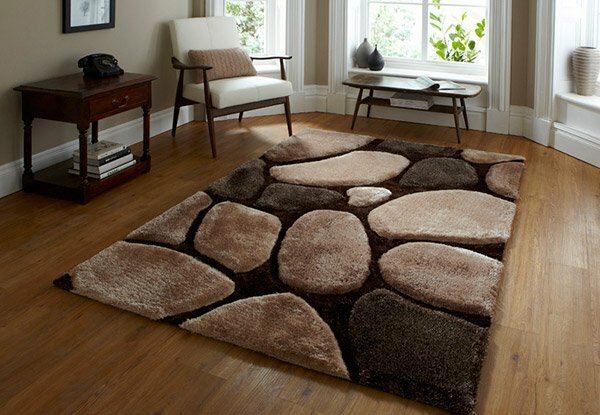 Shag rugs can add so much warmth to a room! I adore their alternative the flokati rugs the most. I really love them but they are rather high maintenance when it comes to cleaning them! Professionals like Carpet Cleaning Experts Melbourne strongly advise against vacuum cleaning them, so you are left only with the old-fashioned shaking and raking the items.